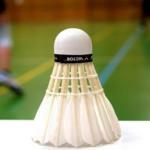 Following on from the Badminton World Championships at the end of August comes the English National Championships which was held over the last few days in Wycombe. So time then to take a look at this domestic showcase and find out which player names we should be keeping an eye on. Plenty of talented and familar names were challenging for the various titles this year. Starting off with the women’s singles and the final saw Chloe Birch taken on and beat Atu Rosalina Sagita 21-17 21-12. Meanwhile in the men’s singles Alex Lane took the title beating top seed Toby Penty in two sets 21-11, 21-15. The women’s doubles turned into somewhat of a straightforward affair for returning champions Lauren Smith and Sarah Walker. They took on and beat Chloe Birch and Jess Pugh comfortably 21-10, 21-10. Moving on to the men’s doubles and it was all smiles for Tom Wolfenden and Peter Briggs as they triumphed over Ben Lane and Sean Vendy. That said they were forced to work for their title as the match turned into a three setter. The final result ending 21-19, 17-21, 21-19. Last be certainly not least its time to take a look at the mixed doubles. This one saw victory for Jess Pugh and Ben Lane as they took on Jenny Moore and Greg Mairs. The match ended with a convincing win, 21-9, 21-11. So brothers Alex and Ben Lane both come away as champions in their preferred disciplines.